Will it become Britain's version of Hulu? 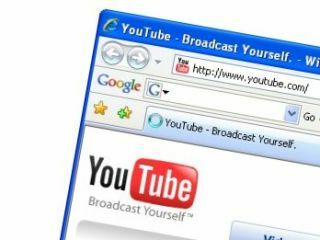 YouTube is to begin offering full-length UK shows, as long as talks between its owner Google and content owners ITV, Channel 4 and Sony Pictures prove successful. The biggest video-sharing website in the world is currently trying to carve itself a niche in what is an already crowded online marketplace and prove to advertisers that it is more than a user-generated content portal – a tag which turns off advertisers pretty quick. Although there's been no confirmation from YouTube about its future UK plans, a spokesperson has explained: "We are always interested in bringing that (long-form) content to other territories – we always like to make content available as widely as possible." New Media Age, who broke the story, has also noted that a UK Sony exec confirmed talks were under away, saying: "YouTube's aim is to do something with long-form. We are in discussions with it about that." If YouTube is to offer full-length UK shows on a regular basis, it better get in there quick as its nearest rival Stateside Hulu.com is already looking to branching into the UK sector. It does seem, however, that Hulu's venture into the UK has stalled due to an ad dispute between Channel 4 and ITV about what ad-space belongs to what company, which may have bought YouTube a bit of time to sort out its deals.